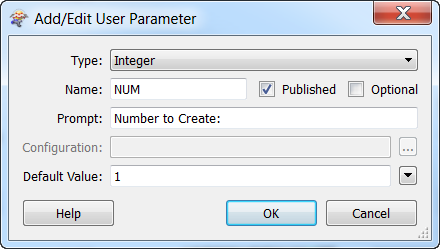 If you right-click on the Number to Create parameter shown in this example, you can either edit the existing value, create a parameter, or link to an already existing parameter. 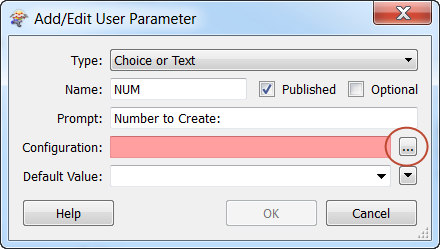 Click Create User Parameter to display the Add/Edit User Parameter dialog. 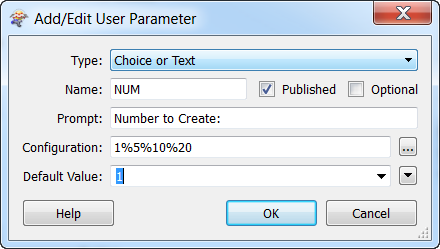 The Type field will already be chosen based on the workspace parameter. In this case, the Type is Integer. When you click OK, the translation continues. 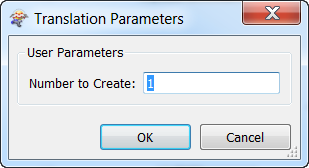 Instead of accepting the default Type, select Choice or Text, and then click the browse button in the Configuration field. 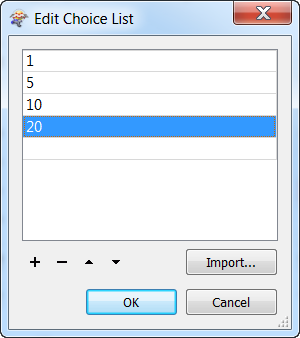 When Edit Choice List appears, enter the choices you want to see, and tab to the next row. Click OK to set the choices. 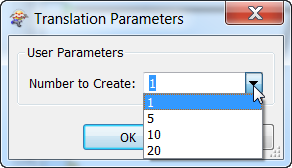 The choices are now shown in the Configuration field. In the Default Value field, you can enter the default you want to use or leave the field blank.